Guys, I have a great little sister. She is funny, sweet, and playful. So, I thought it would be a great idea to ask her some questions and see how much she knows about me and my blog. At the end, we have an interview with her! I’ve seen a few bloggers do this and I thought it would make a great post for this Monday. So, basically I asked her 10 questions about me and my blog and wrote down her answers. My responses were not all said at the time, but they are basically my thoughts on her answers! We shall see how many questions out of 10 she can get right! A Purpose of Winged Dogs and…. an American Girl doll blog. 2. Who/What Inspired Me To Start A Blog? Friends, people who had a blog, Alverdine. 3. When did I start a blog? 4. What Do I Post About On A Purpose of Winged Dogs? Books, book reports. Book reviews. Same thing. Uhh….no. 5. Can You Name Any of My Posts? Kindness is a Butterfly. Anything else? No, I can’t really remember. 6. What is My Favorite Book? *Stares* I need to go in your room and find it! 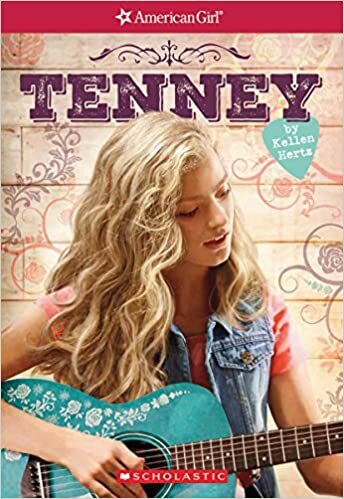 *Runs back in* Keepers of the Lost Cities and Tenney Grant! Those weren’t the ones I was looking for, but yes those are some of my favorites. 7. What Is My Favorite Song? *Raises eyebrows* Is that on your blog? What are you writing all of the extra things for? When it rains, rains, rains. * No. *It’s an inside joke based on a song we heard on the radio that was pretty much the worst song ever. 8. What Days Do I Post? Once a week. Sorry, no. Everyday. Uh…no. 9. How Many Followers Do I Have? 109. Thanks,but I wish. I have 37. That’s it? Thanks for making my day! 10. What Is My Profile Picture? Of Nibbles! Good work! Can you specify a little more? There’s more than just Nibbles? Uh.. Nibbles with books. Yup. She Got 4 Correct, 3 Half Correct, and 3 Incorrect! Great job! I don’t have one. Wait! Puppy Place Rascal. 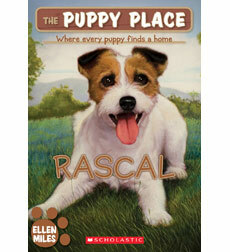 I like Rascal, it’s a funny book. I think you know the answer. When it rains, rains, rains! Would You Start A Blog? Raking up leaves and jumping in them. What Is Your Favorite American Girl Doll That You Don’t Own? I don’t have one. Can you list some? Kaya, I think and Lea. It has to be dolls you don’t own (She has Lea). I like a Truly Me that looks like Camille (She’s a Wellie Wisher). I’d call her Camille. Weren’t some of those answers just so funny? This was a really fun post to do. I think I’ll do it again sometime! Haha! I should interview my little sister sometime! Thank you, yes the answers were really funny! I really enjoyed reading this. 🙂 The answers were very funny. You should, it was very fun!